From Executive Producer Hisao Kurosawa, (Dreams, Ran), comes the untold story of one of the world’s greatest women artists and why her name was nearly lost to history. Many Beautiful Things plunges viewers into the complex age of Victorian England to meet Lilias Trotter, a daring young woman who defied all norms by winning the favor of England’s top art critic, John Ruskin. Above are cut out clips from inspired typography that was done by Lilias Trotter. Below is a spread of inspiration that I used to familiarize myself with the time period vernacular. and a woman of faith- was life changing." 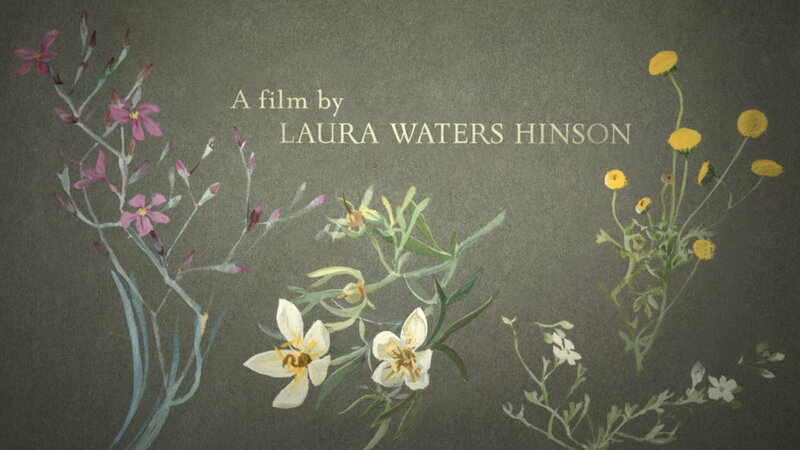 I worked really closely with Laura Waters Hinson, the director / producer of Many Beautiful Things to capture a single moment that would be compelling and and genuine in representing Lilias Trotter. She had an admirable relationship with God and by spending time with His creation she developed an amazing body of art and writing. In the creation of this film I spent a lot of time in nature which was common for me, but it had a deeper meaning as I studied her life. These Cards were created to embody the heart and vision of Lilias Trotter. She was an exceptional storyteller. Each piece of artwork is an original study that Lilias did. I created a type family to compliment her artwork, Mrs Eaves was the fit here.